In this edition of “An Open Book,” Kimberly Richardson, author of Tales from a Goth Librarian, The Decembrists, and Mabon and Pomegranate, and the editor of several short story anthologies, recommends that President Obama read Anna Karenina, wishes Dracula would have actually won, and discusses the hardest scene she’s ever written. Let’s get right to the meaty stuff – what’s the hardest scene you’ve ever written? The hardest scene? Okay, here we go: there was a fight between Sophie and Hilliard in The Decembrists in which Hilliard told her that she was going to move in with him. She did not want to, mostly because she still wanted her freedom. When she refused, he went off on her in a tirade that, when I wrote it, I was so into that I didn’t remember writing it. I channeled something very nasty and it came out in that section. When I read it afterwards, I was shocked at what I had written – it was so harsh and brutal. It was something I would never say to even my worst enemy. Which one of your characters do you wish you could switch places with? I’d want to switch places with Agnes Viridian: she is my private detective/sorceress in the 1920s who has a French immortal for a “father” and a French werewolf as her lover and now husband. Although magick and the Otherworld are real, she is still seen as a black woman. However, she is a strong person with more than competent attributes that I love. I’d give anything to at least meet her. Which fictional villain do you wish would have won? How would you have ended their story instead? I wish Dracula had won; yes, he was a monster and feared, yet I have a bad habit of “rooting” for the monster. They can’t help what they are. Monsters forever! In any case, I think if Dracula had won, I think he wouldn’t have terrorized the world. I think he would have stayed in Transylvania with his bride Mina and built his power there. For some reason, I just don’t see him as trying to take over the world. I think he would have just returned to his former glory before the darkness came to him. I can’t remember when it happened, but it was Seven Years in Tibet. I deliberately took my time in reading that book and when I finished, I was not the same person I was when I began it. Just read the book. I think Obama needs to read Anna Karenina. A timeless classic about love and betrayal. It was one of the influences for my book, The Decembrists. I would buy everyone on this planet a copy of that book. Seriously. What is your favorite short story or poem? How has it influenced you? I don’t have just one: I will say this – John Keats and Charles Baudelaire are great poetic influences in not only my writing but also my life as well. Keats was a vital part of the Romantic period and Baudelaire was incredibly wicked and decadent – need I say more? Of the books/stories you’ve written, which is your favorite or the most personally meaningful? The Decembrists. I know people are probably tired of me talking about Hilliard Ravensdale, yet I will say it again: creating him was one of my finest achievements as a writer. Byronic hero, Fae blood modern man, elitist to the extreme, and yet he loved Sophie with all his heart. That novel is the most personal and the dearest to my heart. In fact, “Hilly” keeps haunting my dreams in that he has more stories to tell. I told him that he needed to wait – a cyberpunk goddess currently has me in her thrall! What are your favorite books about or featuring death? So you’re a thanatologist? How cool! Tell us a little bit about what that means. So glad you asked! To put it mildly, I’ve always had a fascination with Death. It began when I started reading every book I could get my hands on regarding vampires, then on to when I was introduced to the Goth subculture. However, it wasn’t until I was a photographer in residence for a cemetery here in Memphis that Death took on a different meaning to me. To know that we will all die means that we can truly live. I don’t know what happens to us when we die, yet the many myths and legends surrounding it are fascinating. Out of all the Greek deities, Hades is my favourite. A good friend of mine is a minister who can also bestow titles on people; when I learned that he could give me the title of Certified Thanatologist, I jumped at the chance. To study Death is to study Life. Right now, I’m still plowing through Snow Crash by Neal Stephenson and A Field Guide to Getting Lost by Rebecca Solnit. Total opposite ends of the spectrum and yet both are very relevant in my life now. What are you working on now? What can we look forward to seeing from you in the future? I’m currently working on MAVEN, my first attempt to write a cyberpunk novel. I just wrapped up the first book in the Order of the Black Silk trilogy (plague doctors in the Otherworld), and my Southern Gothic novel, Open A (demonic violinist) should be coming out soon. I also have the latest in the Agnes Viridian series coming out this year as well. Found as an infant crawling among books in an abandoned library, Kimberly Richardson grew up to become an eccentric woman with a taste for jazz, drinking tea, reading books, speaking rusty French and Japanese, playing her violin, and writing stories that cause people to make the strangest faces. 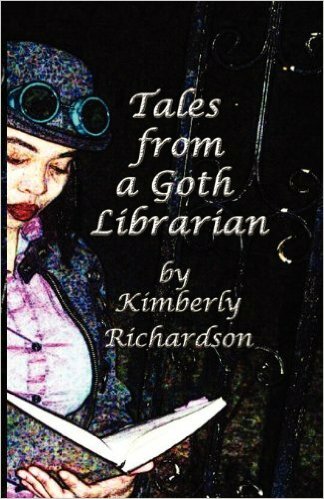 Her first book, Tales From a Goth Librarian, was published through Dark Oak Press and named a finalist in both the USA Book News Awards for Fiction: Short Story for 2009 and the International Book Awards for Fiction: Short Story in 2010. 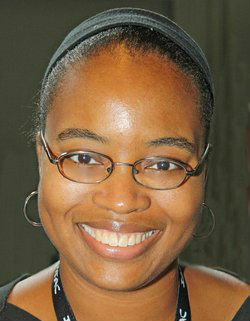 Ms. Richardson is also the author of The Decembrists (Dark Oak Press) and Mabon and Pomegranate (Dark Oak Press); both were listed for the 2013 Pulitzer Prize. 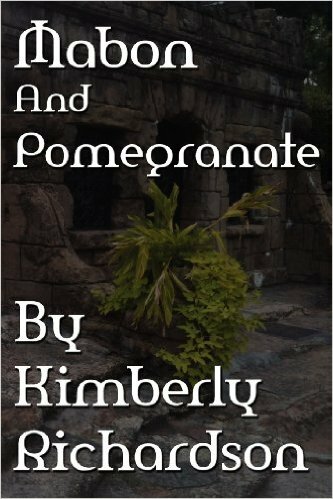 Kimberly also owns Veridian Tea Company, selling a variety of herbal teas. You can follow Kimberly Richardson on Instagram and Twitter and visit her Etsy tea shop!